LONGSTANDING African National Congress (ANC) cadre Dali Mpofu announced this weekend he was leaving the party to join Julius Malema’s Economic Freedom Fighters (EFF). In justifying his decision, he said that “internal paralysis is such that it’s a question of time before (the ANC) renders itself irrelevant to the broader revolution”, and that South Africa now needed “radical policies”. In response, ANC spokesman Keith Khoza said the move confirmed suspicions Mpofu was “acting against the ANC in ways that projected the ANC negatively”. Former Reserve Bank governor Tito Mboweni was more heartfelt on Twitter, first expressing denial (“Not possible. We are ANC blue blood… we are ANC for life”) then, on confirmation, regret (“Adv Mpofu has been a friend and comrade for many years. I was his best man at his wedding … It’s sad”). The truth is, however, that Mpofu has never done much for the ANC’s reputation. Behind the scenes he might have been stalwart but, when the public spotlight was on him, it was usually for the wrong reasons. His latest move is only the most recent in a long string of controversies throughout his chequered career. So many, in fact — most of which seem to be self-generated — that there is a case to be made that because he was unable to foster a formidable reputation by being uncontroversial (certainly his record is unexceptional), he chose a path defined by scandal and intrigue, a far better recipe for media attention. In 1992, Mpofu was working as deputy to Winnie Mandela, who was in charge of the ANC’s social development department. The two had an affair, which ended acrimoniously (in March 1992, she wrote: “I won’t be your bloody fool, Dali”) and was widely cited as the primary cause for the subsequent divorce of Nelson Mandela from Winnie. That aside, the real problem was R160,000 she had given Mpofu from the departmental account. In 2005, Mpofu was appointed group CEO of the South African Broadcasting Corporation (SABC), a position he held until 2009, when he was fired. The SABC board at the time, never apolitical, was one of the most politically loaded in South Africa’s post-1994 history and the organisation was routinely dragged over the coals for perceived bias and “ANC-friendly” propaganda. Among others, board chairman Eddie Funde had a list of ANC credentials that ran from managing the placement, education and training of hundreds of young ANC exiles during the 1970s to serving on the ANC’s national executive committee as recently as 2002. Another board member (later to replace Mpofu), Solly Mokoetle, ran Radio Freedom for the ANC in exile, and when Cecil Msomi was not serving the public broadcaster, he was working as communications director for the KwaZulu-Natal premier — employed by the ANC government to promote the political message and programme of action of its premier in that province. Head of news and former ANC member Snuki Zikalala once said the party was “in his blood”. As is standard operating procedure nowadays, the SABC under Mpofu was regularly bailed out by the national government as its financial management spiralled ever downwards. In 2006-07 it had to be bailed out to the value of R119m, and again in 2007-08, to the value of R132m. In 2009, Mpofu’s final year in charge, it required a whopping R780m extra to keep running. It was estimated in 2009 that a full recapitalised would cost about R4.2bn. Amid of all this financial turbulence, Mpofu saw fit to use R123,000 worth of public money to pay for a glossy bit of self-indulgent PR in Leadership magazine, in June 2006. In exchange for the R123,000, revealed in response to a Democratic Alliance parliamentary question, Mpofu got 12 questions to communicate, as the minister put it, “(the) new corporate strategy of ‘total citizen empowerment’ and to focus on the new vision the organisation has recently adopted”. The questions (at R12,300 a shot) included such sweetheart indulgences as “Who are you? Where do you come from?” and “If there is one achievement that you have made during your tenure, which makes the job seem worthwhile and gratifying, what would it be and why?” Mpofu was rounded on by all and sundry for the extravagance. The Young Communist League called for his “immediate resignation” and said state money could not be used “to fulfil his selfish ego and personal ambitions”. Also in June 2006, radio host John Perlman disclosed that under Zikalala the SABC had created a blacklist of political commentators, prevented from commenting on certain news items. Mpofu, to his credit, instigated a commission of inquiry but the report was shrouded in secrecy and the entire affair did significant damage to the SABC’s reputation. After a court case to have the matter heard by the Independent Communications Authority of South Africa, the Freedom of Expression Institute withdrew its case in 2012, in a private agreement of which the terms are not known. 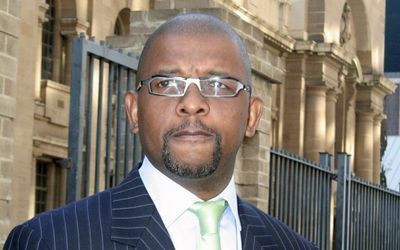 After being fired by the SABC board in 2009, Mpofu reportedly tried to negotiate a R16m settlement that was “laughed off”. After much acrimony, Irene Charnley, the interim chairwoman of the makeshift SABC board, said in a statement the two parties had “reached an amicable agreement to resolve the longstanding impasse”. In terms of the agreement, the SABC would pay Mpofu “contractual obligations between the parties” (R6,738,160.34); “an additional amount of R900,055 which is legally due to him”; “the legal costs resulting from the previous board’s decision to suspend” (R2.1m — to be paid to his attorneys); and a “restraint of trade payment related to this” and “based on the potential loss of earnings arising from restrictions placed on Mpofu” (R4.4m). All in all, the SABC handed over about R13.4m. However, just five months after his departure, it was reported that the organization was so chaotic due to maladministration, qualified audits and infighting that no less than ANC minister of sport Makhenkesi Stofile himself had had enough. Of the board he said: “I appointed them … I need to see them delivering as early as this December, failing after which I will kick them out of office. I must say, I am disappointed by these guys because it looks like they are clueless on what they do.” It takes something special or spectacular to make the ANC speak so frankly. In June this year, as the head of the ANC disciplinary committee in Gauteng’s Saxonwold branch (the Guptas live in Saxonwold), Mpofu led a case against the Gupta family who had landed a private plane with about 200 wedding guests at Waterkloof Air Force Base. The charge was bringing the party’s name into disrepute. Last month, Mpofu benefited from a South Gauteng High Court case that ruled, after much resistance on the part of the state, that the government must fund the appearance before the Farlam commission of Marikana miners injured during the notorious “arrests” at the mine in August last year. Mpofu had withdrawn his representation of the miners in July pending the outcome of the case. His fees were too high for the miners to afford, although private funders had already contributed R2.5m to their costs. The state agreed to represent other parties before the commission. Mpofu was accused of seeking public attention and charging unaffordable rates, but likewise defended. He had charged R15,000 a day, compared with what, he said, was the R30,000 a day charged by the police’s legal representation. In an interview he said no one had done pro bono work for 18 months. The R2.5m, he said, was exhausted. On his Twitter account, explaining his decision to join the EFF, Mpofu said: “This decision is painful but comes from the heart.” Perhaps it did, but he seems to have benefited from a disproportionate amount of media coverage as a result, something that no doubt warmed said heart significantly. Quite how Mpofu aligns his deep love for capitalism and the private sector — a love from which he has financially benefited greatly — with the radical socialism of the EFF, he has yet to say. For example, one EFF proposal is to “scrap certain criminal convictions”. As an advocate, sworn to uphold the constitution, his position on that particular matter might well be worth interrogating. Of those numerous controversies surrounding Mpofu, it is remarkable how many involved money, which seems disproportionately important to the man. Well, that is, as far as his money goes. When it comes to other people’s money, his record suggests a more cavalier attitude. The likes of Mboweni might well mourn the loss but Mpofu’s democratic contribution has hardly been sterling. Against his track record in public office, perhaps it makes sense that he finds himself with the EFF. After all, if the likes of Malema and Kenny Kunene are anything to go by, the EFF seems to attract people with two main characteristics: personal opulence and a feigned love for the poor. And, in its populist socialism, it has the perfect recipe to ensure, if ever enacted, that all South Africans will well and truly be poor beyond their wildest dreams. In the meantime, please donate — its members have a certain lifestyle that must be maintained. We do care what Gareth van Onselen says. Top 3 words to describe Advocate Dali Mpofu. He is hot hot hot!! Viva EFF, #Asijiki not one bit.